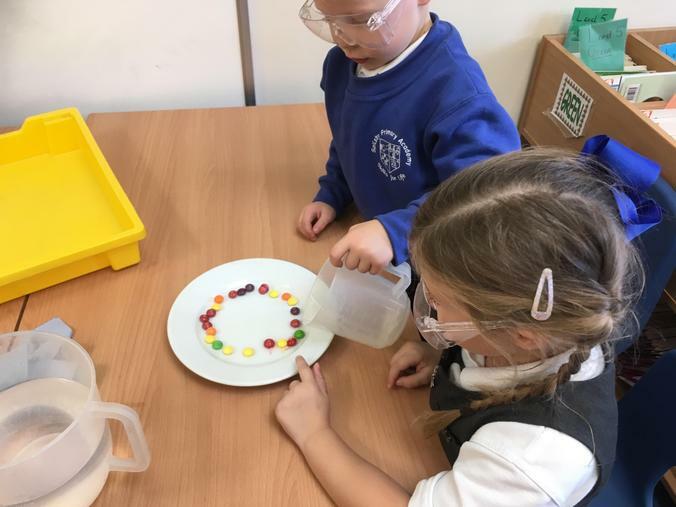 We have been talking about our wonderful bodies and are using our senses to observe and talk about what we see. 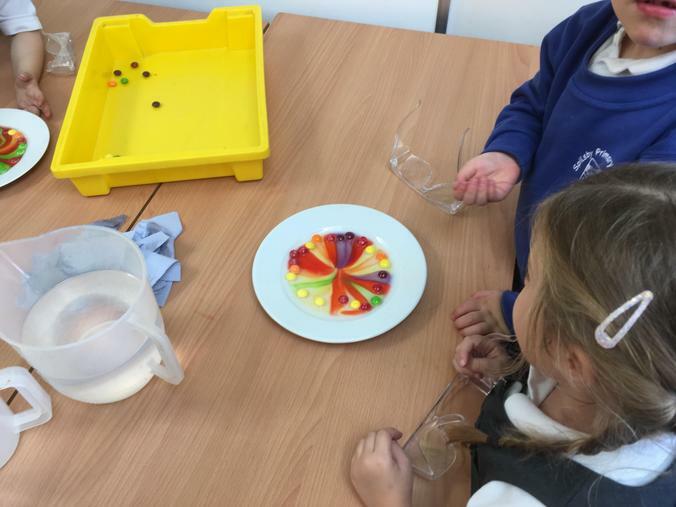 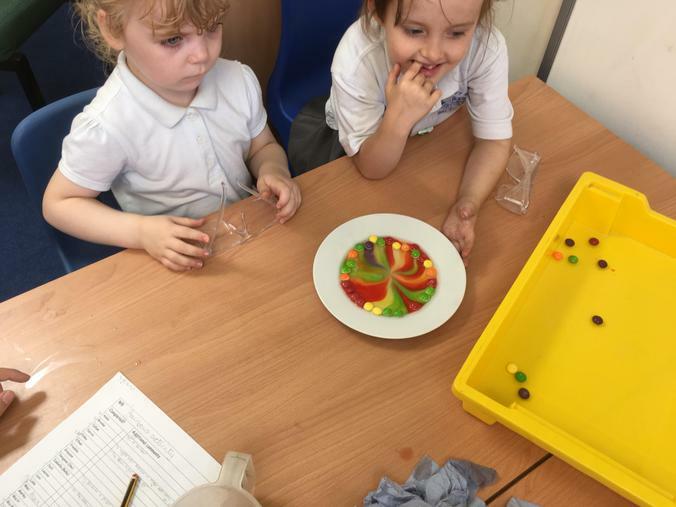 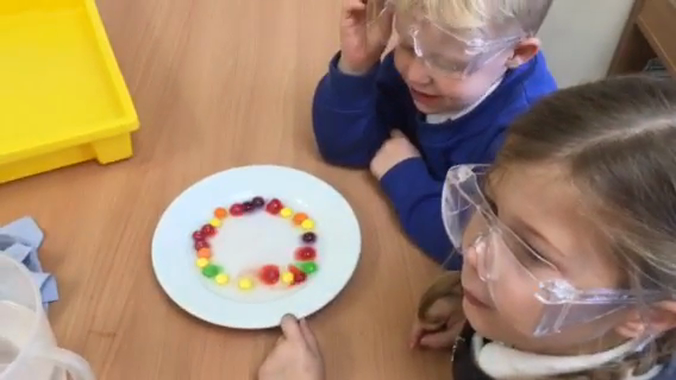 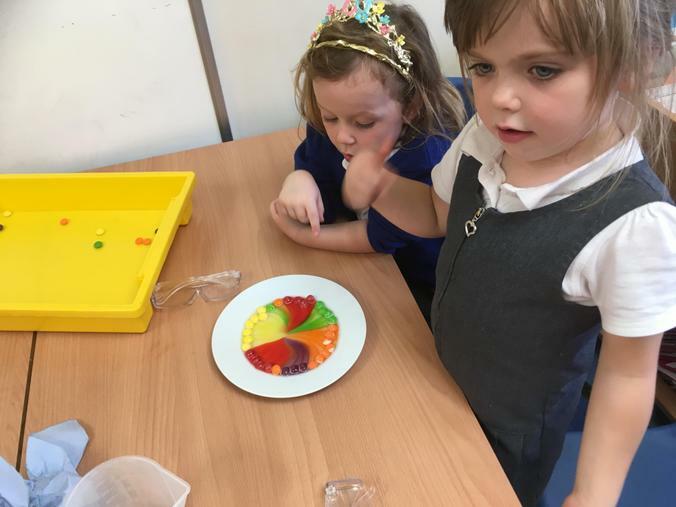 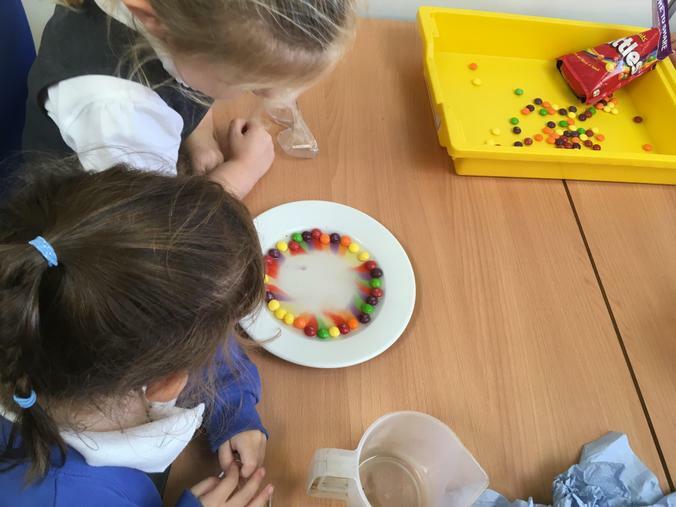 We were challenges to make a rainbow using Skittles and warm water. 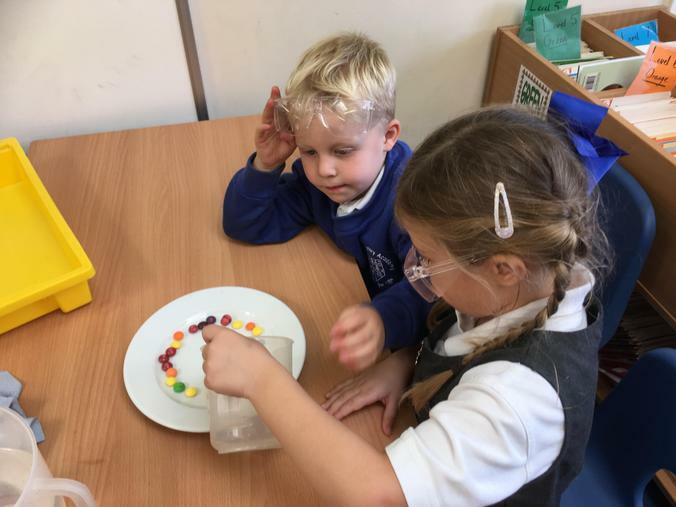 We talked about what to do and then tried it out. 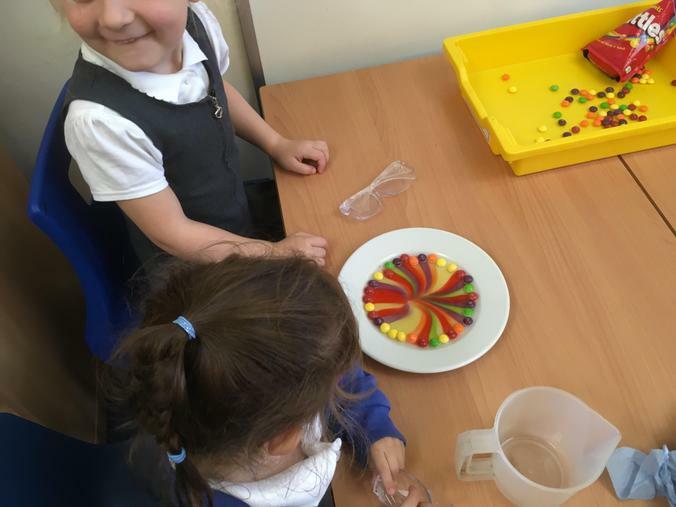 We also had a think about what might happen (predictions). 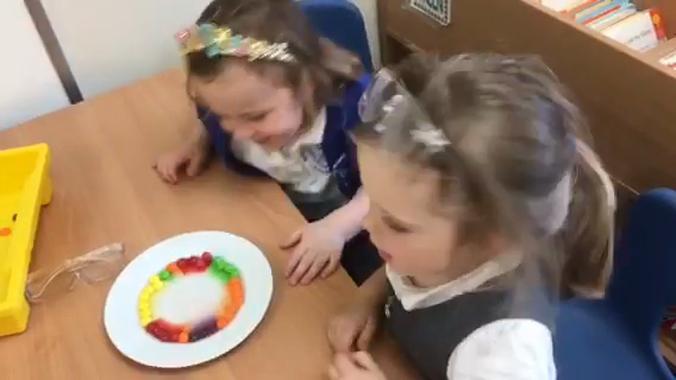 We thought it was amazing.